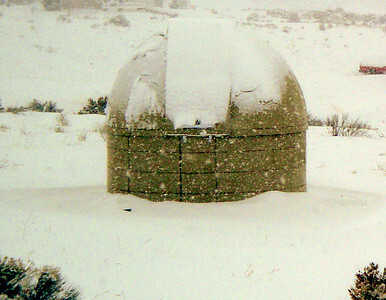 Eagle Rock Observatory on a mid-winter morning. In the background to the West are the full moon, the Lost River Range (far left), and the Lemhi Range. 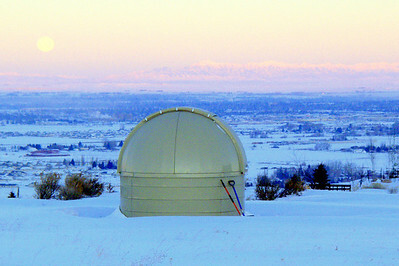 In the foreground is the Snake River Plain. 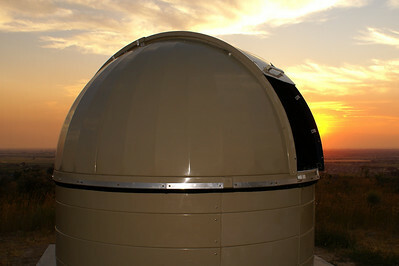 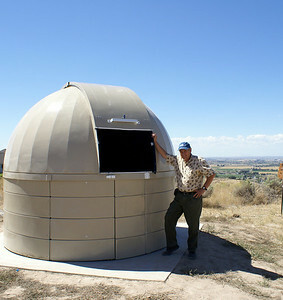 The observatory is set with the door and home shutter position facing northeast, away from the prevailing wind direction. 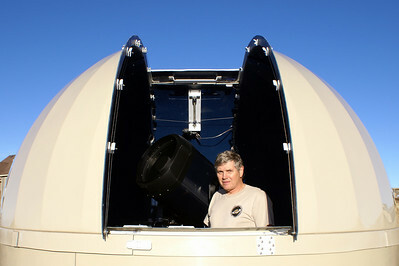 The astronomer and telescope. 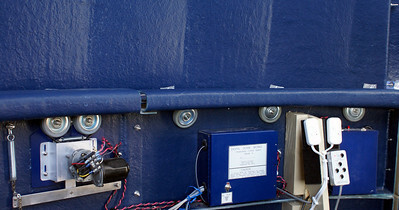 The shutter drive motor is visible on the rear wall. 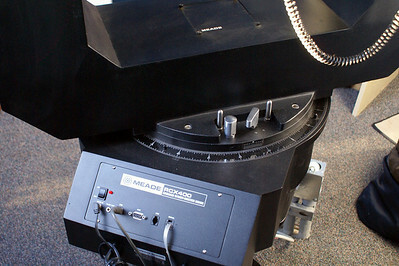 The telescope is a 16-inch Meade RCX400 on a permanent pier. 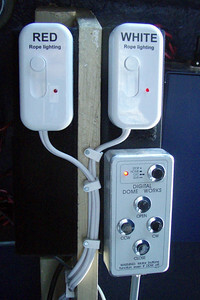 The north wall, showing one of the dome rotation motors, the dome controllers, and the lighting controls. 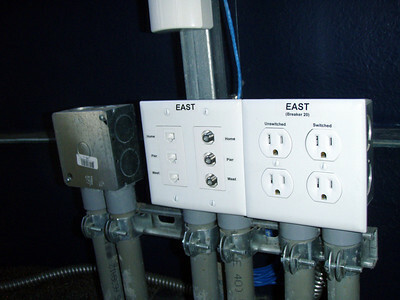 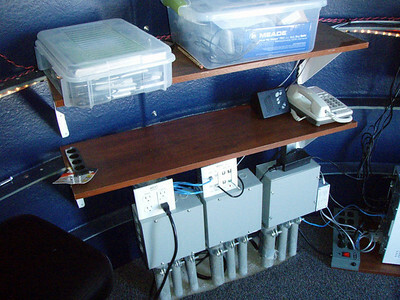 The computer workstation shelf is mounted on the wall flanges to minimize intrusion into the circular aisle space. 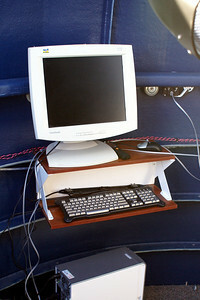 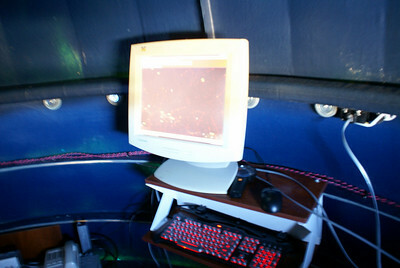 The observatory computer in night operation mode. 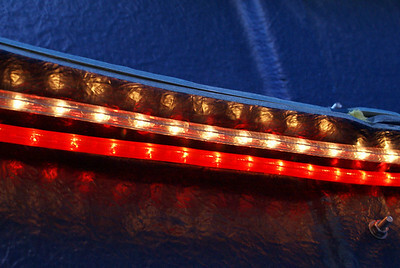 The primary lighting is provided by red and white rope lights mounted under a wall flange to provide indirect light. 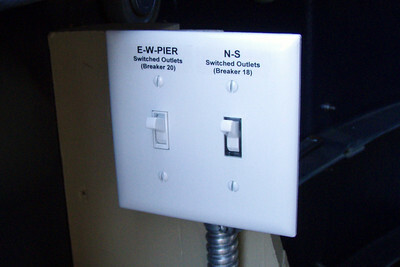 The outlet switch for the rope lighting is illuminated for easy access in the dark.